On this Good Shepherd Sunday, we celebrate the World Day of Prayer for Vocations. 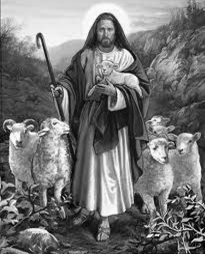 Pray for an increase in vocations to the priesthood, dioconate and religious life, especially for our diocese, that God will raise up good shepherds in our midst. If God is calling you, contact Fr. Hansoo Park at 416-968-0997 or vocations@vocations.ca. While the Second Vatican Council was in session, the Servant of God, Paul VI, instituted this day of worldwide prayer to God the Father, asking him to continue to send workers for his Church (cf. Mt 9:38). “The problem of having a sufficient number of priests”, as the Pope stated at the time, “has an immediate impact on all of the faithful: not simply because they depend on it for the religious future of Christian society, but also because this problem is the precise and inescapable indicator of the vitality of faith and love of individual parish and diocesan communities, and the evidence of the moral health of Christian families. “Wherever numerous vocations to the priesthood and consecrated life are to be found, that is wherepeople are living the Gospel with generosity” (Radio Message, 11 April 1964). Dear Brothers and Sisters, what exactly is God’s faithfulness, to which we adhere with unwavering hope? It is his love! He, the Father, pours his love into our innermost self through the Holy Spirit (cf. Rom 5:5). And this love, fully manifested in Jesus Christ, engages with our existence and demands a response in terms of what each individual wants to do with his or her life, and what he or she is prepared to offer in order to live it to the full. The love of God sometimes follows paths one could never have imagined, but it always reaches those who are willing to be found. Hope is nourished, then, by this certainty: “We ourselves have known and believed in the love that God has for us” (1 Jn 4:16). This deep, demanding love, which penetrates well below the surface, gives us courage; it gives us hope in our life’s journey and in our future; it makes us trust in ourselves, in history and in other people. I want to speak particularly to the young and I say to you once again: “What would your life be without this love? Vocations to the priesthood and the consecrated life are born out of the experience of a personal encounter with Christ, out of sincere and confident dialogue with him, so as to enter into his will. It is necessary, therefore, to grow in the experience of faith, understood as a profound relationship with Jesus, as inner attentiveness to his voice which is heard deep within us. This process, which enables us to respond positively to God’s call, is possible in Christian communities where the faith is lived intensely, where generous witness is given of adherence to the Gospel, where there is a strong sense of mission which leads people to make the total gift of self for the Kingdom of God, nourished by recourse to the Sacraments, especially the Eucharist, and by a fervent life of prayer. This latter “must on the one hand be something very personal, an encounter between my intimate self and God, the living God. On the other hand it must be constantly guided and enlightened by the great prayers of the Church and of the saints, by liturgical prayer, in which the Lord teaches us again and again how to pray properly. Our talks will resume Tuesday, April 23, 2013 at 7:30 pm in the Parish Hall. At this session, we will be looking at the section of The Apostles’ Creed, “…He descended in Hell; on the third day He rose again from the dead.” Everyone is welcome to join us. Another very successful Bundle-Up Collection was achieved at St. Joseph Parish last weekend. One full sized 5-tonne truck was 80% filled by late Sunday evening. All contents will be sorted at the SVDP Warehouse and placed in SVDP stores in Toronto. Our next Bundle-Up Collection will be held on the weekend of September 14/15, 2013. A special thank you to Fr. Marc-André Campbell, to our parish families who donated so generously and to everyone who helped. On behalf of our families in need and our SVDP Team --- THANK YOU! To all those who volunteered numerous hours - their time and efforts in preparations for Holy Week, from cleaning the church to arranging flowers and the altar, etc. And to all those who assisted with the services/Masses or other – counters, lectors, ushers, our Youth Ministry and St. Joseph Secondary School and our outstanding choirs/music. Fr. Michael D’Cruz will celebrate Divine Mercy Sunday here at the Parish. Following Benediction, there will be the blessing of any religious items and Fellowship in the Parish Hall**. **We would greatly appreciate ‘finger foods’ from those attending for the Reception in the Hall. What an opportunity! Clean out your closets and drawers for spring. 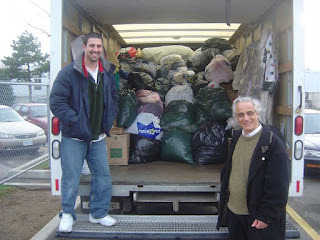 St. Vincent de Paul society will have a truck here to collect your gently used clothing and household linens for those in need this weekend. The truck will be open all day Saturday (6th) until 6:30 pm and all day Sunday (7th) until 7 pm. Volunteers will assist with the loading before and after each Mass. Please note: no mattresses, appliances, glass frames. Kindly tie up your donation bags for easier handling. Thanks for your continued support!